Nanotechnology is a fast-evolving discipline that already produces outstanding basic knowledge and industrial applications for the benefit of society. It is a new emerging and fascinating field of science, that permits advanced research in many areas. Whereas the first applications of nanotechnology have been developed mainly in material sciences, applications in the agriculture and food sectors are still emerging. Food science nanotechnology is an area of rising attention and unties new possibilities for food industry. Due to a rapid population growth there is a need to produce food and beverages in a more efficient, safe and sustainable way and they should be safe from the adverse effect of pathogenic microorganisms. The application of nanotechnology in food has also gained great importance in recent years in view of its potential application to improve production of food crops, enhance nutrition, packaging in a more scientific way, and food security against food borne microorganisms. The new materials, products and applications are anticipated to bring lots of improvements to the food and related sectors, impacting agriculture and food production, food processing, distribution, storage, nano-additives, cleaning and sensors for detection of contaminants and developments of innovative products. During recent times, scientists focus on food packaging using the advanced nanoparticle application to protect the food from contamination of dreadful microorganisms and to increase its self-life. Therefore, nanotechnology has large potential to provide an opportunity for the researchers of food science, food microbiology and other fields, to develop new tools for incorporation of nanoparticles into food system that could augment existing functions and add new ones. Detection of very small amounts of a chemical contaminant, virus or bacteria by the use of nanosensors in food systems is another potential application of nanotechnology. Nanosensors use nanoparticles, which can selectively attach themselves to any number of food pathogens and can detect them by either change of color or development of florescence. By using handheld sensors employing either infrared light or magnetic materials, the presence of even minuscule traces of harmful pathogens can be traced in food. Further, due to their small size, they can gain access into the tiny crevices where the pathogens often hide. However there are very few publications in this aspect. The present Research Topic could provide basic information and practical applications for the potential uses of various films in food packaging, describes the different types of microbial targets (fungal, bacteria, etc. ), and focuses on the applicability of techniques to industry. 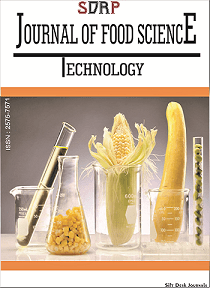 Strategies on monitoring of microbial activity that use antimicrobial nanomaterial packaging, detection of food borne pathogens, the use of biosensors, and testing antimicrobial susceptibility, along with food safety and good manufacturing practices are to be covered in this research topic.